Lol I would love to turn it into a webcomic some day, then you would see if she survives the winter. 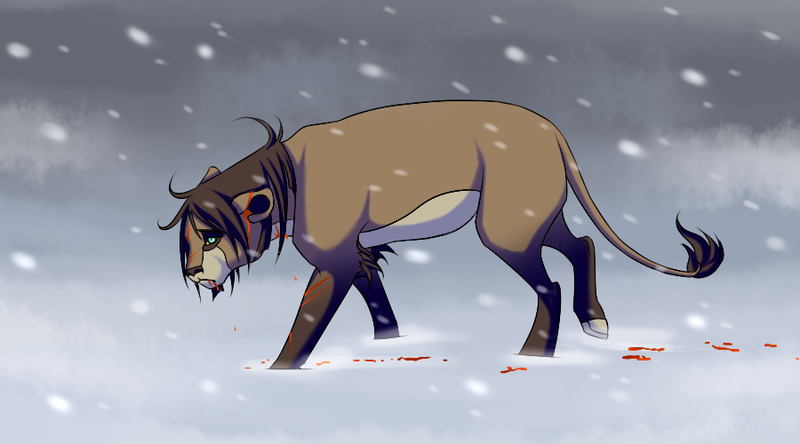 Aww no, not let her die, shes a sweet lioness, she can live with my pride if she want, whats her name, and do you RP with her ? I don't roleplay with her, sorry. But I may draw more of her and other characters in the future. Damn, i though we could make an rp, but ok and nice, does she have a mate ? Lol well she is pregnant. Not sure if it will be happily ever after for them though. Lol well she ‌is pregnant. Not sure if it will be happily ever after for them though. She just lost a fight in winter, so no not happy at all right now.